Still hot here in the dog days of August. My sewing room gets the most sun of any room in the house, and while that is great in the wintertime right now it seems a bit too warm to attempt any daytime sewing. Combine that with a steam iron and I can use my sewing as a weight loss workout! 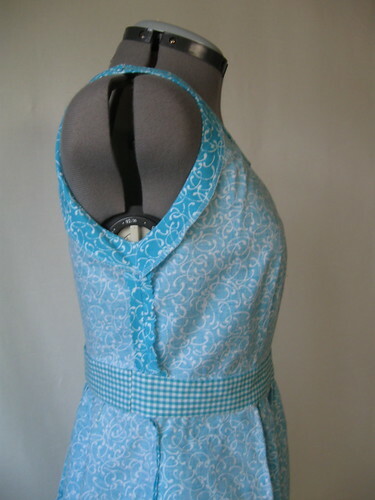 So this time of year looking at fabric and pattern websites seems a better idea than sewing. 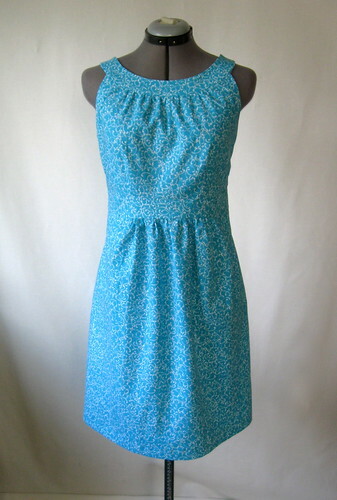 My previous post was the cotton sundress made from New Look 6874, multiple versions. As I mentioned I really like this pattern and it can work for a lot of different figures. Even better it is a great figure flatterer, or should I say, a design that can hide a few figure concerns if you want (tummy, hips). The only issue I have found is the front bodice can be a bit too short which puts the center band too high, cutting across the bottom of the bustline. I would say that it needs a full bust adjustment on some women but I have also made this for women who did not need the full bust adjustment and it still needed to be lowered. When I cut this out I decided to experiment with a shortcut method of altering the bodice front. If I didn't like the adjustment I could recut the piece according to the pattern but it worked out well. On buying the pattern I knew I would use it in various sizes so I traced the size 12 bodice pieces and they have been well used. 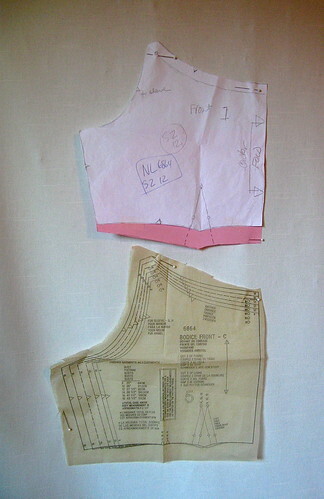 Below you can see the addition in pink paper lengthening the front bodice. More length in the center, about 1 inch,and tapering to 1/2 inch at the side seam. Math nerds may notice that this changes slightly (very) the finished length (side to side) of the bottom of the bodice. Also the side seam is now longer on the front bodice than the back, where I did not make any change. I will deal with that side seam discrepancy in a later step. It might seem that this would make the front band dip too low but this is a pattern where I found the extra length is needed. A while ago I saw this post by Kathleen Fasanella of the Fashion-Incubator blog that illustrates this perfectly. Her website is dense with information, a lot targeted at the garment manufacturing industry, but I have learned an amazing amount by reading random posts. A website that is definitely a time sink, and I mean that as a compliment, so many fantastic explanations. Here is the inside of the finished dress, this is an adjustable dress form which is adjusted to my measurements, but the height is one area that confounds me in that one can't change the bodice or hip length. That would be nice, however I own 4 different forms so no plans to get any others, I can make do. I tied a piece of seam lace at the horizontal point to show how much longer my finished front bodice is as compared to the back. As worn, the center band settles in the right place, and achieves my goal of not having it too high, cutting across the bottom of the bustline which it did in my previous version. The skirt is a bit more puffy in this cotton, in a softer fabric it falls better. Lastly, to accomodate the difference in the length of the side seam that I created by adding to the bottom of the front bodice, I just ran a gathering thread for about 3 inches on the front bodice side seam allowances and pulled that up until the side seams matched. 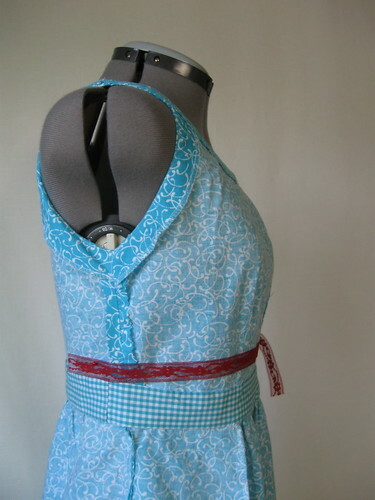 This is a great little adjustment that can be added to a lot of patterns to create a bit of ease in the bodice front, kind of a "mini-full-bust-adjustment". It doesn't show under the arm and especially with a printed fabric. Now that I am looking at the form I think even she is happier with the extra length in the front bodice, it seems to settle at the right spot. 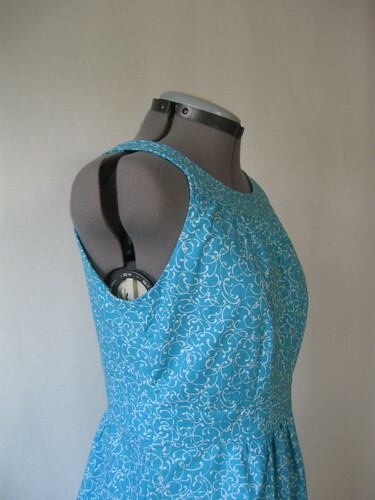 Up next, I have been on a kick to make beachy looking tunics, and finished a few knit tops. I have another one-hit wonder coming up which I am currently re-fashioning, something I have never done but having seen so many inspiring ideas lately I got out my scissors and started slicing. 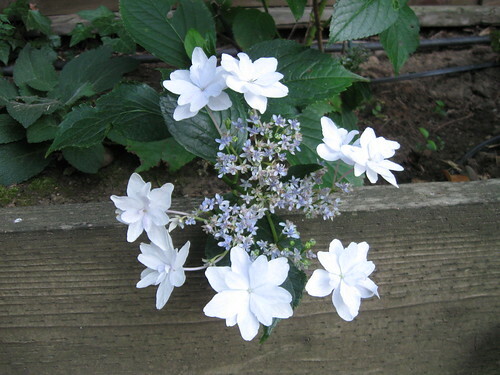 Here is today's SunnyGal garden photo, I was hankering for one of these hydrangeas last year and my family suprised me with a gift. It is surviving nicely in a shady corner and I expect big things in the next few seasons. Stay cool and happy summer sewing. Gorgeous dress! Your bodice alteration was perfect and gave you superb fitting!!!! 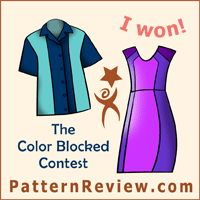 The style and color are definitely winners! 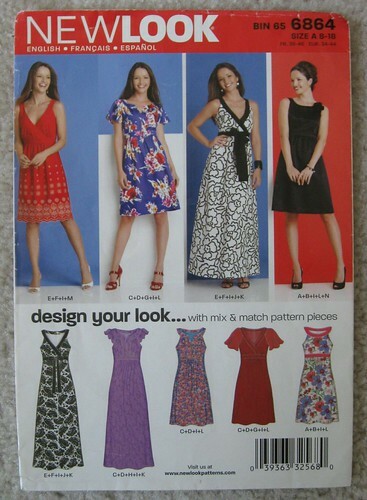 Interesting to see your thoughts on this, as I was sent the pattern in a recent swap! 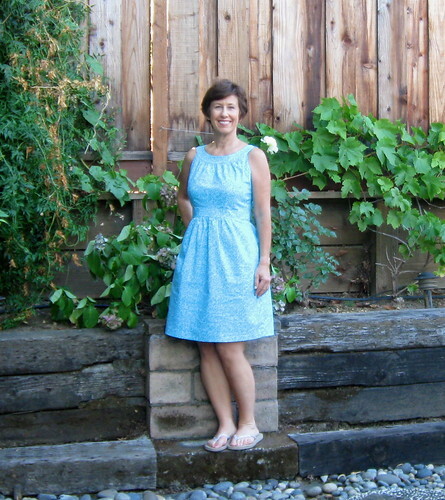 Your adjustments worked perfectly and the finished dress fits you beautifully! Good information, thank you! I really like the look of this pattern. How odd that it is too high even on those not needing an FBA. 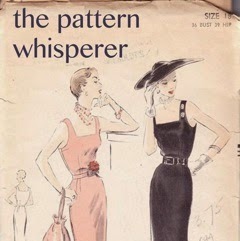 I had this happen to me once on a Burda mag pattern, of all places. They are usually so well-drafted, but the seam is always creeping up over my (small) bust. I have been reading your blog for a while and love it! I am going to be in San Fran for Labor Day weekend and would love to meet up with you if you are around and available on Saturday, 9/1. Please let me know. eword10 at yahoo dot com. Your dress turned out really cute. I've had that pattern for a minute now, but haven't gotten around to making it. Your dress has encouraged me. A big thanks for the efforts you have put into writing this article.